Hello, my name is Dan Cembrola, one of Zidisha’s Kenya Client Relationship Managers. I am currently visiting Zidisha borrowers in Nakuru and its outskirts.“I am here! I am here! I am here!” Margaret proclaimed as she deftly hopped over a small ditch on the side of the road. After a warm greeting Margaret began quickly leading to me her shop in Bahati Center, an agricultural town north of the city of Nakuru. She jumped over puddles and potholes the whole way before hopping on top of the step at the entrance to her shop. Margaret is 65 years old. Her shop is part of a building that Margaret owns. 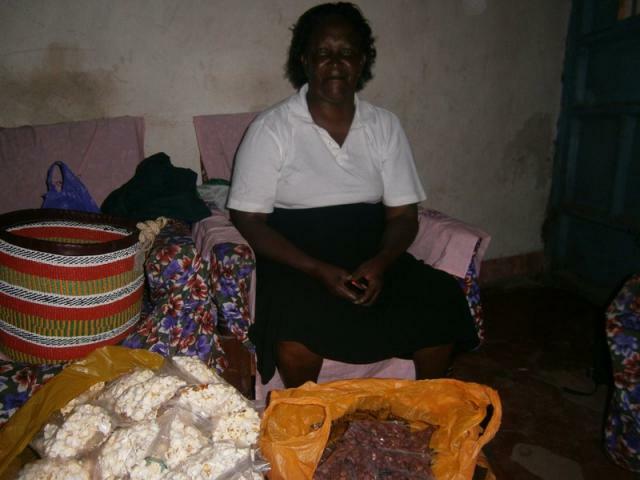 The shop sells some basic supplies and contains a storage room that she will soon fill with bags of maize from her farm to be sold through the shop. The shop also contains a soon to be operational MPESA stand. 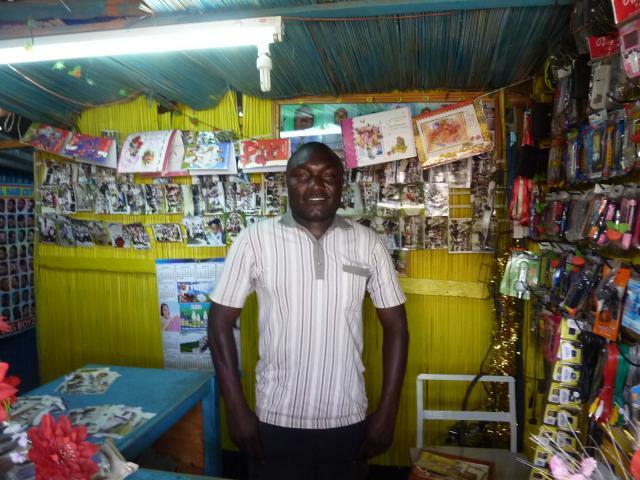 Locals use the MPESA service to send and receive money electronically. 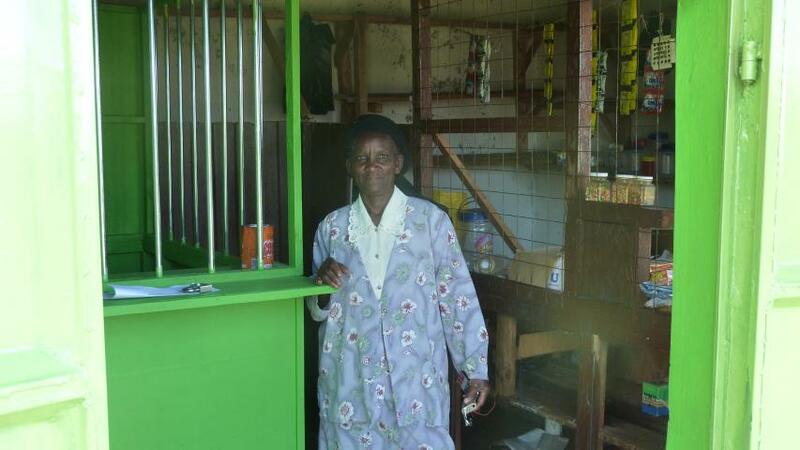 Margaret had used her first loan to purchase a sheep and has used her current loan to open the MPESA stand. Margaret’s shop only occupies a small portion of the large L-shaped building that she owns. She has created six hotel rooms with the remaining space and built one additional free standing room. She currently is renting out rooms at the rate of 600 Kenyan Schillings for a single and 1,500 Kenyan Schillings for a double. Since the new constitution was passed in 2010, the town of Bahati has become a district capital. Margaret expects to continue to enjoy full occupancy as her hotel is located adjacent to the new government office. 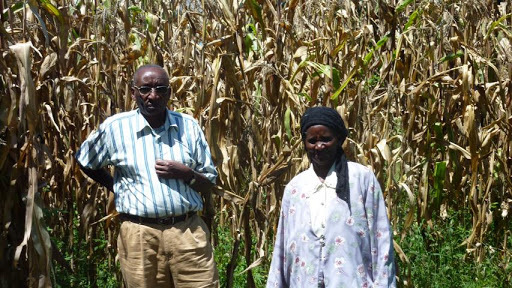 After explaining these various business ventures, Margaret announced, “Now I will take you to my home business.” With boundless energy, she led me three kilometers down the road to her farm, where she lives with her husband. They cultivate mainly maize and tomatoes but also have sheep, goats, and a few chickens remaining after they recently sold 2,000 chicks. Margaret explained that the land they used to live on was ten acres but it was lost during the post-election violence. Since relocating to Bahati, they now only have two acres but she seemed to lament more the fact that each of her five children are now adults and working in different parts of the country. In addition to Margaret’s “town business” and “home business” she also found time to become the chairwoman of the Happy Mothers Group. 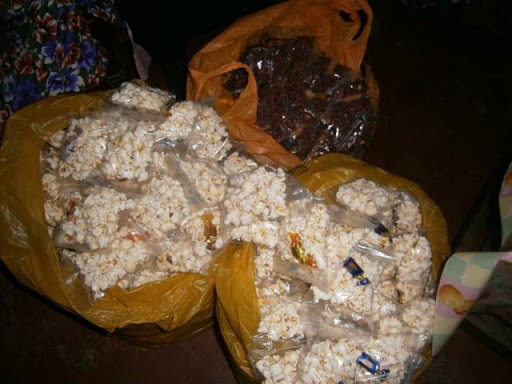 This started out as a collection of five women and has now grown to seven who are all Zidisha borrowers. As Margaret escorted me the three kilometers back to town, she excitedly told me about how her family will all be returning next month for Christmas, a happy mother indeed.